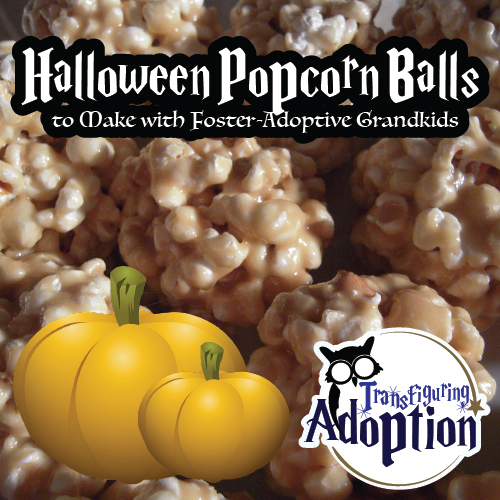 Popcorn Balls have been a traditional treat for Halloween. Grandpa’s favorite way to make them is the easy way he and his family made them when he was a young boy. They would pop popcorn to fill a big dishpan (probably about 6 qts). Then they would melt a bag of marshmallows with one stick of butter or oleo in a pan on the stove, stirring so it wouldn’t scorch. They added a little vanilla for flavor. I like to add a little orange food coloring or substitute a 3 oz. pkg. of orange gelatin to make them a festive color for Halloween. This mixture is then poured over the popcorn and mixed through. They would grease their hands to form the popcorn mixture into balls. (You can spray your hands with cooking spray or moisten your hands with water as an alternative if you prefer). If your grandchildren are helping you, make sure the mixture is cool enough to not burn little hands. Place popcorn balls on waxed paper to cool completely. 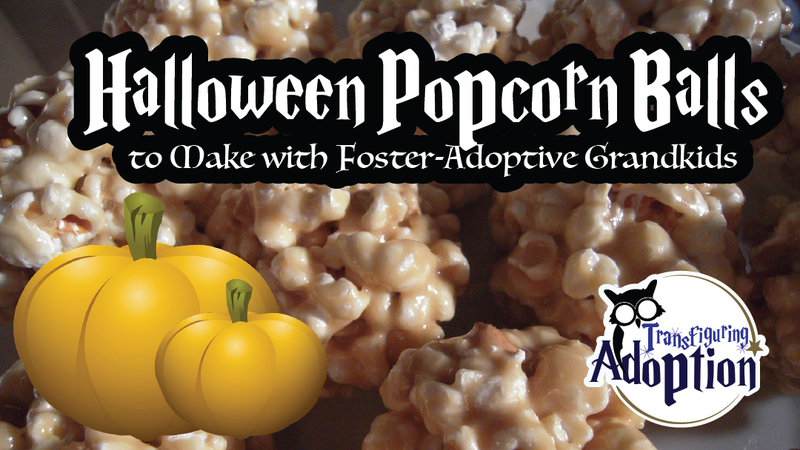 Depending on the size you make them, you should end up with at least 2 dozen popcorn balls. Enjoy these treats with your little spooks and goblins and maybe sing a Halloween carol such as the one my children brought home from school many years ago when they were elementary students. What fun it is to trick – or – treat And sing pumpkin carols tonight!